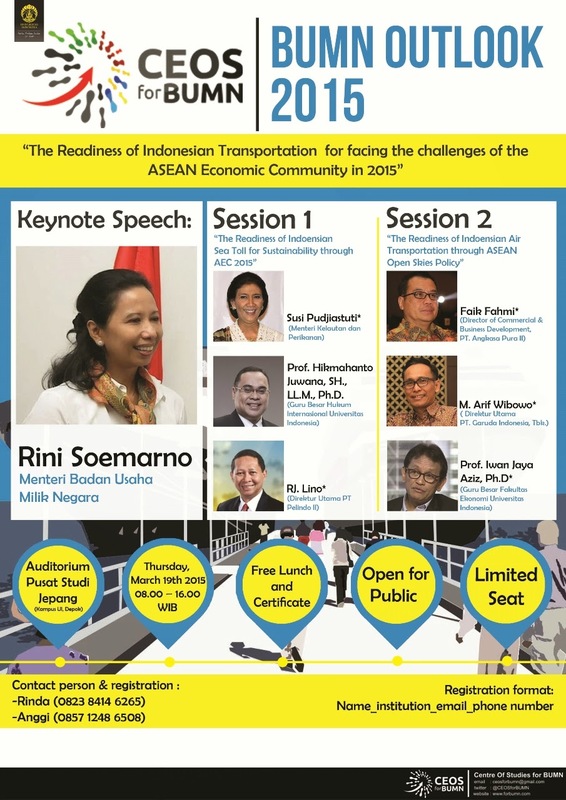 "BUMN OUTLOOK 2015 : The Readiness of Indonesian Transportation for facing the challenges of the ASEAN Economic Community in 2015"
Kamis, 19 Maret 2015. 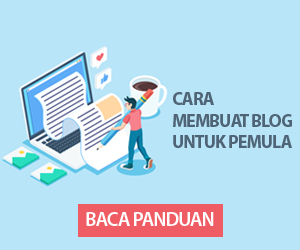 Pukul 08.00 - 16.00 WIB @Auditorium Pusat Studi Jepang, Universitas Indonesia, Depok. [Keynote Speech] Menteri BUMN Republik Indonesia, Rini Soemarno. [Sesi 1] : "The Readiness of Indonesian Sea Toll for Suistainability through AEC 2015"
[Sesi 2]: "The Readiness of Indonesian Air Transportation through ASEAN Open Skies Policy 2015"
FREE ENTRY, CERTIFICATE, AND DOORPRIZE!